How Long Will The True Fitness M50 Last? Despite the M50's lack of additional features, True has one of the highest levels of quality and this model is no exception. You may not be able to check your email or track your workout on multiple devices, but you can rest assured that you will be able to use the M50 for many, many years. Thus, we would recommend True’s M50 for a more serious user who enjoys working out on an every-other-day basis. As always, please be sure to take proper care of your elliptical as it is an investment. True to True’s standard of customer service, the company offers professional installation for a few hundred dollars more. In the long run, properly installing your expensive elliptical could ensure a longer life. It is hard to compare models in this price range and not include a True machine. True typically produces very expensive models which means that this price range is considered True's lower end range. Thus, one can think of True’s M50 as one of their basic models. Even so, True’s basic model is better than other brands’ best models. The M50 has a substantial amount of quality with a reputable backing at a relatively decent price. 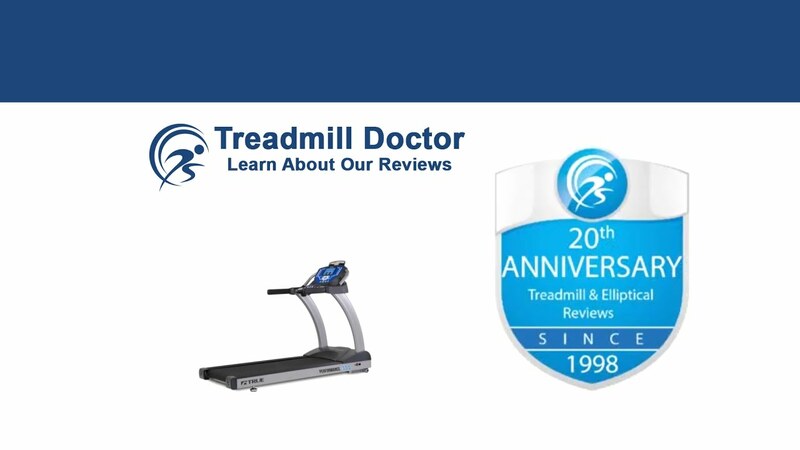 Accordingly, we have awarded the M50 Third Place in the 2019 Best Buy race among the $2,000 to $2,999-dollar ellipticals. To start, there is a reason why True is so highly praised in the workout equipment market. True has developed a quality design as well as a valuable customer service department over the years. I am reminded of Yeti coolers. The relatively same cooler can be hundreds of dollars more than say an Igloo or a Coleman. Yet, the Yeti coolers are still highly coveted because they are typically made with better quality and backed by a good company. Likewise, buying a True means joining the True brand which allows you access to their experienced service technicians as well as their quality customer service department. Accordingly, the M50’s five-year parts and one-year labor warranty may seem average for this price range. But it actually carries a little more value as it is backed by an esteemed company. Furthermore, the M50 is also built with a substantial amount of quality. This particular elliptical has a sturdy build that is likely to last many years. Additionally, we like the M50’s center drive system. We have found that True makes one of the best center drive systems in the market. Some center drives can have a bit of a hiccup, but True has found a better design to help the elliptical’s evenness. The center drive also helps to more evenly distribute the user’s weight which may help lessen isolated wear and tear. The other two valuable features that we like are the M50’s fourteen preprogrammed workouts and their addition of orthopedic footpads. Typically, the higher-end companies don't tend to add too many technology-based features to their basic models. Yet, the M50 has a decent number of workouts which helps to increase its value. Additionally, True is known for their orthopedic belts on their treadmills. It is nice to see that they also try and add their expertise to their ellipticals with the orthopedic footpads. Even though a good pair of tennis shoes will really make the difference for your foot comfort, a few cushioned footpads never hurt anyone. Nevertheless, there are still a few reasons as to why the M50 did not win First Place. Another aspect that you receive when you buy a True is the price tag. While there are many benefits, you are not receiving a feature-packed elliptical even though you are paying roughly $2,800 dollars. Other ellipticals in this price range offer large touchscreens with web accessibility as well as features like incline, decline, and adjustable strides. The M50 is one of True’s more basic models which means that it comes with a minimal amount of features. Thus, we would recommend looking at a few of the other models in this price range as they may offer more bang for your buck. Our previous reviews have denoted our praises of the M50. We have said that the M50 is a high quality, well-engineered elliptical. Though, we have not been as impressed with the M50’s price. Though we have said that the quality construction and reputable customer service is a good value, we have preferred the price of True’s M30 model that is a little cheaper. When compared to other models in this price range, the M50 is lacking in additional features. But it is important to keep in mind that this elliptical is one of True’s basic models. Accordingly, one will receive the high-quality that True is so well known for without the additional features. With this, a serious user cannot go wrong with this level of quality but may get more for their money with one of the more feature-packed models in this price range. Thus, we would recommend our 2019 Third Place Best Buy Winner in the $2,000 to $2,999 dollar range for a serious user who can find a good sale.